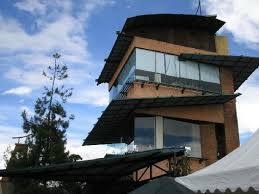 architecture and classic ethnic touches, the building consists of 3 floors where the walls are glass. Wherever you sit, you can enjoy the beauty of Mount Tangkuban Perahu and Burangrang in North Bandung and Bandung city lights sparkle at night. 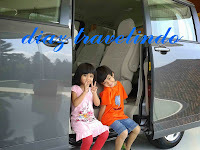 Established on February 14, 1999 at the top of the highest hill in the area Girindah, The Peak is always crowded where most visitors come from outside the city. The most exclusive place in The Peak is on the 3rd floor. Designed differently to the other floors, floor contained only 16 seats. The management of the restaurant called Sky Private Dining Room, at The Peak of the Peak. The floor was opened at the time of Valentine's Day, February 14, 2003. Really shows mercy of The Peak to its visitors. 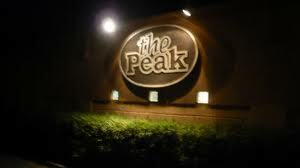 For international menu, the food at The Peak is favored U.S. and Australian Beef Steak Steak. As for the menu locally, his favorite food is oxtail soup. Steak at this restaurant into the category of real steak, which is processed from selected raw materials without using MSG or flavor. The Peak current is also present through service points known as The Peak Connoisseurs who deliver products such as wine, spirits, cigar, tobaccos, pipes and handmade. Wine collection here can be said to be the most complete, because it directly supplied from a single distributor for wine in Indonesia.